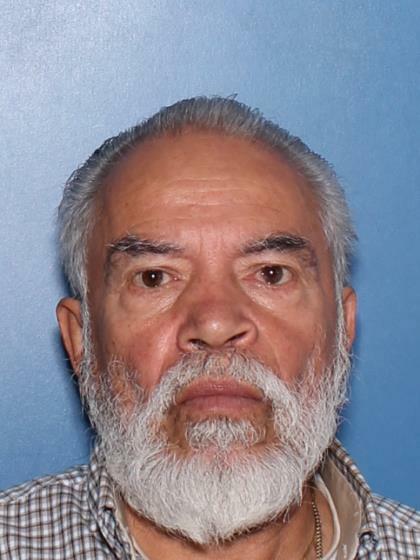 On April 12, 2018 at approximately 6:00pm Reyes Palomares went missing from the area of 3100 W. Peoria Avenue. Reyes was last seen walking with his white Chihuahua dog. Reyes has a medical condition, which may cause him to appear disoriented and confused. Anyone having information regarding this case is asked to contact Detective Jansen #9026 at 602-495-2019 or call Phoenix Police Department's Crime Stop at 602-262-6151. Reyes was last seen wearing a red t-shirt with gray short sleeves and blue jean pants.